AFAIK it's essentially JLC 889. 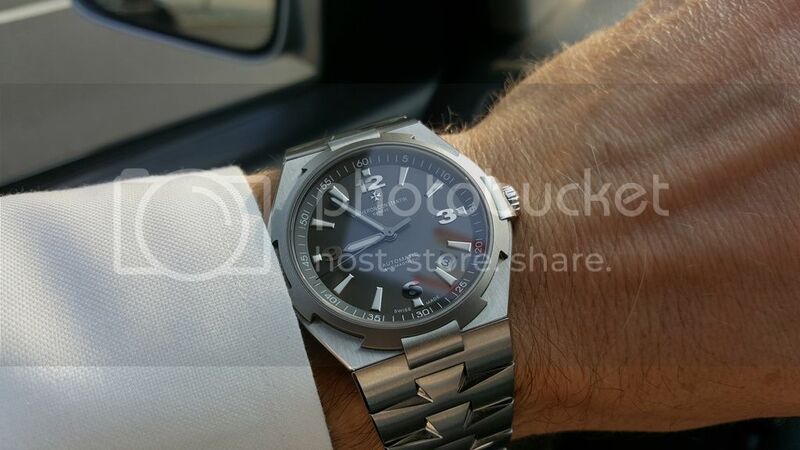 My question is how accurate and reliable is this watch. Guys, maybe I've been too short. But I read some frightening threads about VC reliability, let alone service prices. Please encourage me :) is this movement accurate and reliable for daily wear, it does not need nanny and babysitter? You are correct that the VC caliber 1126 is indeed based upon the JLC caliber 889. I am not sure about the sources you have been reading, but the caliber 1126 is a tried and true movement with plenty of years of in the field testing. My experience is that is a extremely accurate and robust as well. I cannot offer any useful information about service costs on this watch, but a call to a VC Boutique should get you a a ballpark figure on the general service cost for the Overseas Automatic to give you an idea. It is a great watch you are considering. For some reason the link from my post disappeared. My thought is about Overseas Ultramarine LE 3 hands/ date. Not sure that color change qualifies for LE, but it looks fantastic. So you say it can be sporty watch and can even take some light punishment? I weigh it against Datejust II blue dial, but VC seems much more refined. And I like the fact that only connoisseurs can identify what I'm wearing (hopefully). There are stories about service issues with almost all brands. These are mechanical items, its possible for someone to get a "Lemon." Its also possible for people to do things to their watches that might be considered rougher than expected treatment. A friend who was in the restaurant business gave up on his Patek Nautilus, because he said it could not hand the rough environment of a professional kitchen, and it would stop running once or twice a year, and need to go back for service. He would be in a hurry and whacking it against metal pots, stoves etc., and perhaps he went beyond what its shock resistance could handle. However, I have friends that have worn a Nautilus as a daily wearer for year and had no problems. I think with reasonable care, almost any watch be it a VC or any other good brand should give you many years of good use and enjoyment. As for service, call and find out what the cost of an overhaul is to see if you are comfortable with that. I see some guys post on other forums that VC, AP, PP over charge for service and "They have a guy" who can service anything for cheap. However, I would not be comfortable letting the local independent watchmaker have a go at my watches. Don't get me wrong, some might be very good. 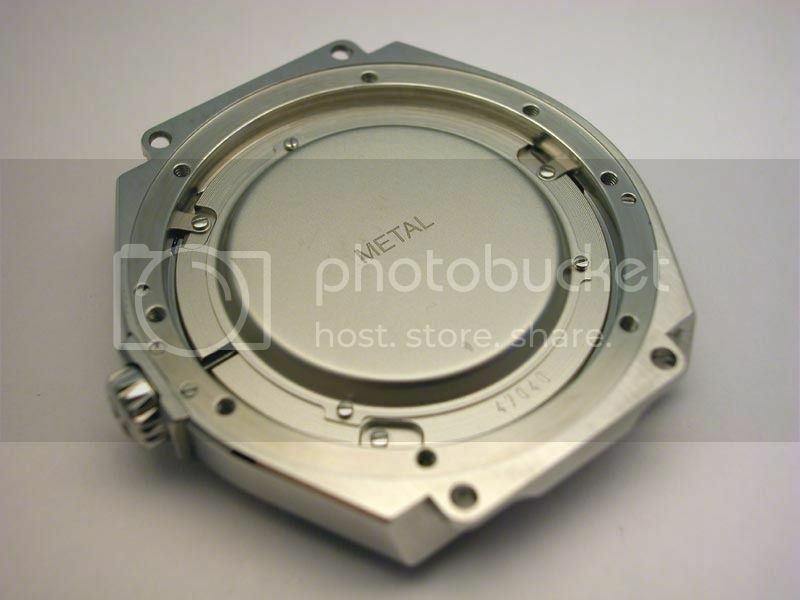 However, many do not have access to all the parts they need, and there are often special tools and dies that only the factory service centers have. I've seen plenty of nice watches ruined and over polished by amateurs with a dremel tool. So IMHO, its worth spending the extra money and having a factory authorized service center do the work. My main problem is if I'll feel comfortable to wear a high end watch, or maybe I should stay on mid-tier level. I hear some mind blowing prices like $2,000 up to $4K, not including parts. A VC Boutique can provide you with a ballpark figure for the cost of a regular service for an Overseas Automatic. The cost that you are citing sounds inaccurate to me for a non-vintage watch. So meanwhile I eat from forums, though I understand that people generally prefer to complain and not to praise. I'd be rather surprised if that were common on a basic time only watch. I've heard of older used pieces with worn out parts requiring rather costly fixes, or if someone damages a watch rather costly repairs...but not on a regular basis. I know from recently having time only pieces from Rolex and Cartier serviced, their service runs about $600. I want to say, that IIRC a service on say other time only watches from the big three could run more like $1,200 +/-. I did have a friend who bought a 20+ years old PP Nautilus several years ago, and it went in for a service because it was having trouble maintaining a power reserve. 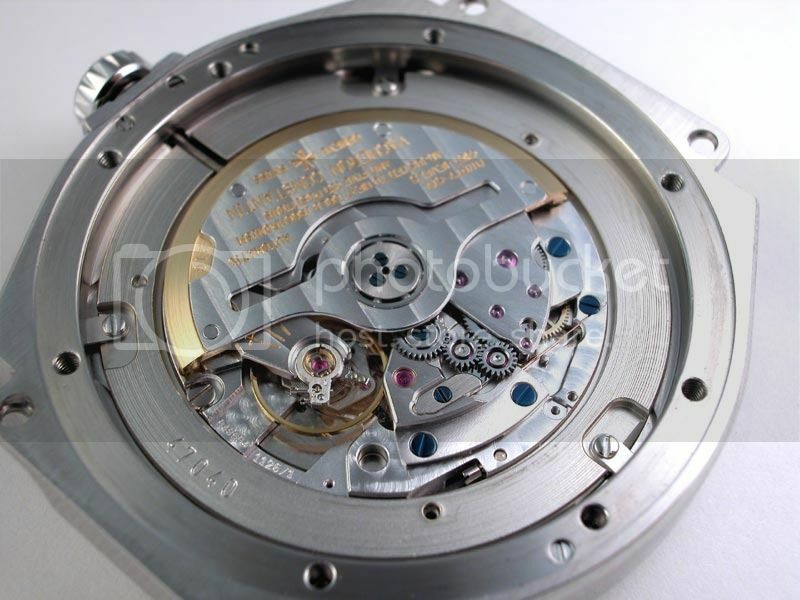 He was quoted $1,200 for the service plus around $2,600 for the 18K rotor which was worn in a certain area and so it wasn't winding the watch properly. 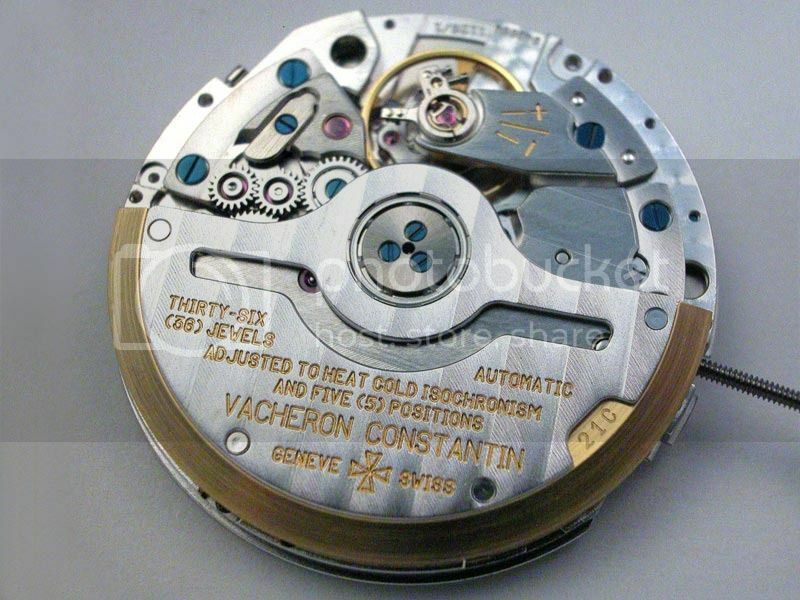 They told him they could just service the watch, and not replace the rotor, but if he did not replace the rotor as recommended they would not warranty the work. It sort of soured him on PP for a while. However, he was buying a daily wearer that was over 20 years old. You are buying a new watch. Wishing you luck with whatever you decide. One more question : do you think that future manufacture movements will overshadow the current series? ...I simply cannot answer. And what do you mean by "overshadow?" At some point in the future, and possibly as early as 2016, we will no doubt see a next and third generation of the Overseas. It is impossible to tell what is in store for the line except that given the direction the Manufacture has taken as well as its publicly declared goals, any Overseas in the next generation will very likely include an in-house movement. Given that some collectors still prefer the first generation models, which come up for sale on the secondary market as well as at auction, I suspect the same will be true for the second generation. Each Overseas generation will have its fans. It is really impossible to speculate on the next generation of the Overseas. It will be a long time even after it is released before we may understand if it "overshadows" the previous series, and it may even be a while before you or I, for instance, know how we feel about a new design. You are obviously thinking about the Overseas a lot, which suggests you are quite taken with it. I think we need to see the caliber 1126 with all of this discussion. These several pics are borrowed from the net, credited to Jack Forster, I believe. The model which I'm thinking of comes with rubber and alligator straps. Do you have any idea what is the cost of this Maltese crosses steel bracelet for additional order? I do not know the current pricing for the bracelet. Do you have an AD you can call for this information? ...go down as a classic design. Additionally, prices on the used market make them an attractive alternative as the 3rd gen will needless to say have a bump in the price. The latest Deep Stream version with yellow accent is a fantastic looking sports chrono, I'm hoping to locate one at the right price some day soon.